South Korea held a local election on June 13. Bloomberg’s reported: “South Korea President Moon Jae-in’s ruling party won 14 of 17 mayoral and gubernatorial races” and “The ruling Democratic Party also won 11 of the 12 vacant parliamentary seats”. The Democratic Party is considered to be a more liberal and progressive party, and we are hopeful that our campaigns against the dog and cat meat trade has a chance of getting their attention, more attention than from their predecessors. Nami and the SaveKoreanDogs.org team members are trying to arrange a meeting with the newly- elected mayor of Ansan. Please sign and share this petition so that they can bring it with them to the meeting. 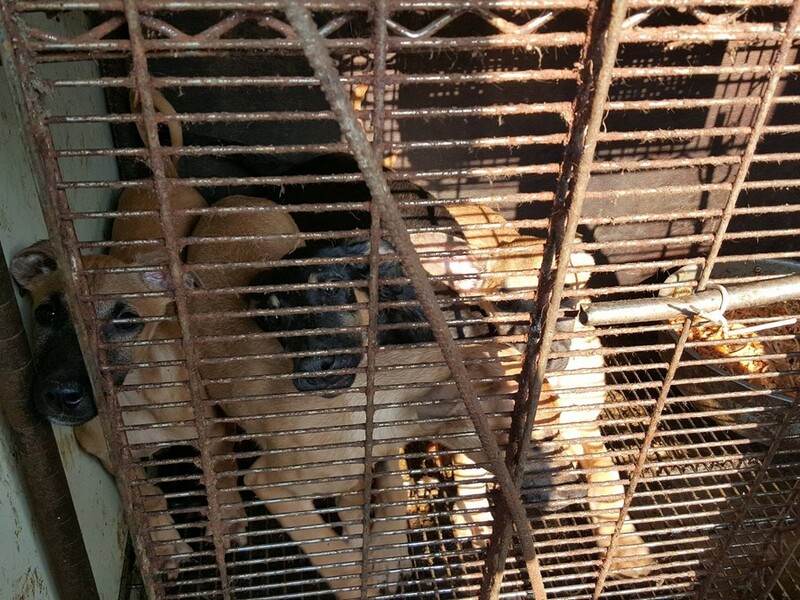 Korean internet searches resulted in 202 health food shops; and 128 dog meat restaurants within and around the Ansan area. That means Ansan is a major dog meat producing and dog meat consumption city!! Let’s get the attention of this new mayor, and make him aware that the world is watching and that we want change. Click HERE to sign and share. Jeong Ha-Young is newly elected mayor of Gimpo. SaveKoreanDogs.org is based in Gimpo, and Nami and her team will try to urge this new mayor to bring about change in his city where there are so many dog farms and slaughterhouses -large and small-everywhere. So we created this petition. Please sign and share. Let’s tell the new mayor that the world is watching and we want change. Thank you!! Click HERE to sign and share. SaveKoreanDogs.org network of rescuers and foster homes in Siheung, will attempt to contact the newly elected mayor of Siheung, Im Byung Taek, to begin a dialogue urging the mayor to end the dog meat industry in his city. Let’s sign and share this petition to help in this effort. Nami and her SaveKoreanDogs.org team are dedicated to saving as many dogs as possible from South Korea’s horrific dog meat trade. Would you be their partner in this important work? They are fighting the cruel dog meat trade by shutting down dog farms and slaughterhouses, rescuing dogs, providing medical treatment, finding forever homes for them, engaging the Korean governmental leaders to enable policy changes, and so much more. Nami and her SaveKoreanDogs.org team are working to save the dogs in Korea. Your donations are what make this life-saving work possible. Click HERE to learn more and donate to SaveKoreanDogs.org. SaveKoreanDogs.org – Your donations go towards rescues, looking after the dogs in the shelter, vet bills for medical treatments vaccinations and spaying/neutering, shelter maintenance/repairs, staff’s wages, transporting the dogs, heating (during winter time), dog foods, treats and so many other bills. We post breakdown of each month donations on monthly basis from our accountant. Thank you for your generosity! Nami and your brilliant team- bless you and may you go from success to success. Though thousands of miles away many sincere people are behind you and are beyond appalled at the work you are tackling. We wish you all the best and may you meet with the success you deserve. Hut ab vor solchen Menschen, die sich als Kämpfer für chancenlose Mitgeschöpfe einsetzen und dabei nicht davor zurück scheuen, von gewalttätigen Menschen angegriffen zu werden. Es ist schön zu sehen, dass auch in Süd Korea endlich begriffen wird, dass wir im 21.Jahrhundert und nicht mehr im Mittelalter leben und hilflose Mitgeschöpfe human, liebevoll und mit Respekt behandelt werden müssen und weder gequält, noch grausam getötet werden dürfen. Ich wünsche den Tierschützern ganz viel Glück und Erfolg und – dass alle asiatischen Länder endlich Hund und Katzen Fleisch frei werden! Sie haben es verdient, unsere getreuen Vierbeiner! Beyond depraved, unconscionable, sadistic, merciless cruelty to living beings, to animals — this is beyond immoral and horrific. — SHAME ON THOSE PARTICIPATING AND THOSE WHO TURN A BLIND EYE — these brutal criminal enterprises are ruled by COWARDS.